The Jeep Grand Wagoneer will feature seven LEDs per headlight on either side of a widened seven-slot chromed grille that emulates the current Grand Cherokee front clip, albeit with a more aggressive look. An attendee at a recent dealer meeting appears to have revealed the first public look at Jeep’s upcoming Grand Wagoneer as well as confirmed how closely a redesigned 2018 Jeep Wrangler will stick to the off-roader’s current styling. A poster showing the lighting signatures from Jeep shows five vehicles in the future lineup, including a Grand Wagoneer that is decidedly taller and wider than the current Grand Cherokee. The Compass, which will have its official North American reveal next month in Los Angeles, does not appear on the poster. 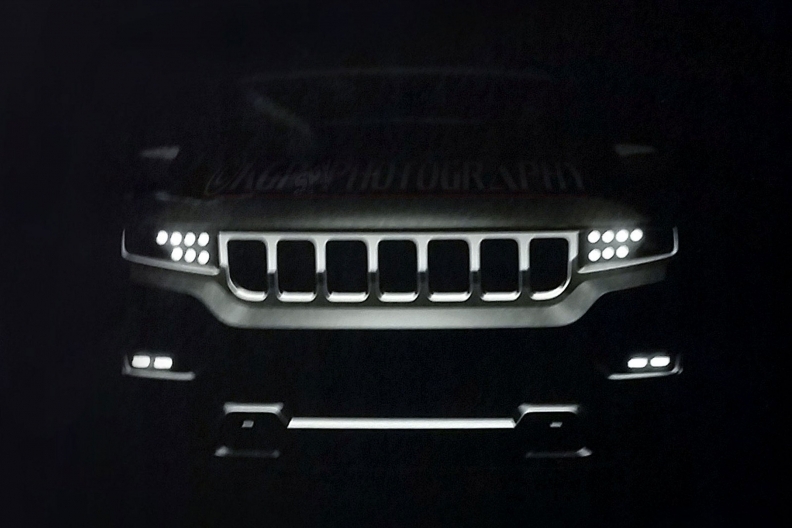 The vehicle believed to be the Grand Wagoneer shows seven LEDs per headlight on either side of a widened seven-slot chromed grille that emulates the current Grand Cherokee front clip, albeit with a more aggressive look. LED lighting is also used on the lower fog lights, located above what appear to be twin sensor or camera arrays. 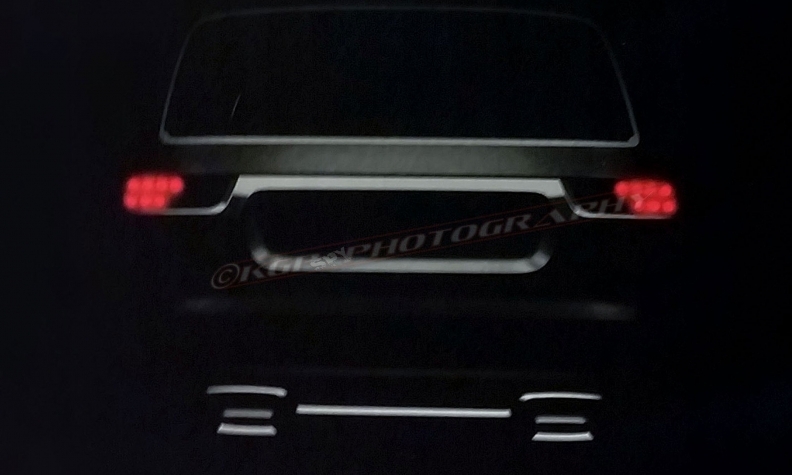 In the rear image, each horizontal tail light array also carries seven LEDs across a widened tailgate, above the Grand Wagoneer’s twin exhaust ports. Overall, the three-row Grand Wagoneer, which will ride on a stretched version of the next-generation Grand Cherokee platform, appears to be both taller and wider than the Grand Cherokee, while sharing a number of the smaller vehicle’s styling cues. Jeep brand head Mike Manley has said that the Grand Wagoneer, due for the 2019 model year, would rival Land Rover in both luxury and price. In Paris last month, Manley told journalists that the price of the top-end luxury Jeep SUV could approach US$140,000. The future Jeep lineup, with the Grand Wagoneer, far right, and Wrangler, second from left. The lighting poster also reveals some details of the next-generation Jeep Wrangler, due to enter production next year. The poster shows that designers haven’t fiddled much with the front-end views of the iconic off-roader, though its tailgate and rear LED lights would seem to carry on the Jerry-can design of the Jeep Renegade.